Suna ieftin in Romania. Numar de Romania. 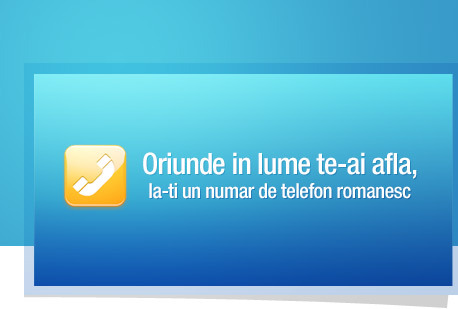 Telefon romanesc. This agreement ("Agreement") is between Next Networks Inc. (“we”, “us” or "NN") and you ("End User"). The “Oriunde” IP Voice Communications Service and any related services or products provided by NN to the End User ("Services") shall be governed by the terms and conditions herein. By activating the Services, the End User acknowledges receiving, reading and understanding this Agreement and accepts the terms and conditions herein. End User acknowledges that they are of legal age to enter into this Agreement. 1. TERMS AND CONDITIONS. The terms and conditions stated herein are in lieu of and replace any and all terms and conditions set forth in any documents issued by End User, including, without limitation, purchase orders and specifications. Any additional, different, or conflicting terms and conditions on any such document issued by end user at any time are hereby objected to by NN, and any such documents shall be wholly inapplicable to any sale made or service rendered hereunder and shall not be binding in any way on NN. No waiver or amendment to this contract or these terms and conditions shall be binding on NN unless made in writing expressly stating that it is such a waiver or amendment and signed by an officer of NN. 2. TERM. The term of this Agreement ("Term") begins on the date that NN initiates the Services and continues for the duration of the service period as defined by the service plan that is selected by the End User ("Plan"). At the end of the current Term, the Term is automatically renewed under the same terms and conditions for a like term as the Term just ending unless the End User provides NN, prior to the end of the current Term, notification of intention to terminate the service. The End User agrees to pay for the Services for the duration of the Term. Expiration of the Term does not alleviate the End User of responsibility for paying all unpaid, accrued charges due hereunder. If the End User chooses to terminate the service before the end of the current Term, the End User will be immediately responsible for paying monthly service fees otherwise due for the duration of the Term. Upon termination, the End User must immediately return to NN any NN equipment provided hereunder ("Equipment"), undamaged and in good working condition, in its original packaging and with its original content or otherwise will be immediately responsible for paying to NN an amount equal to the fair retail price of the Equipment minus any payments End User had previously paid specifically for said Equipment. 3. CHARGES AND PAYMENTS. End User is to pay all charges invoiced to the End User's account including, but not limited to, initiation fees, activation fees, monthly service fees, equipment charges, toll charges and any other applicable charges. All invoices are due upon receipt. In addition to any other remedies available under law, if any charges are due but unpaid for any reason including, but not limited to, non-payment or declined Credit Card charges, NN may terminate the Services and all accrued charges are immediately due plus a late fee of the lesser of 1.5% per month or the maximum allowed by law accrued from the date of invoice until payment in full is received by NN. No termination of the Services or of this Agreement shall relieve End User from paying any amounts due hereunder. Monthly service fees are paid in advance of each month's service, toll charges and any other applicable charges are billed at the end of each month's service. Monthly service fees are initiated at the earlier of i.) the End User's activation of the Services or ii.) 1st day of the month. 4. TOLLS. Every call to or from Equipment using the Services that originates or terminates in the Public Switched Telephone Network ("PSTN") is subject to the then applicable toll charges that are associated with the Plan. Every call to or from Equipment using the Services that originates or terminates with a VoIP service provider that is not affiliated or associated with NN will also count as PSTN minutes and be subject to the then applicable toll charges that are associated with the Plan. The duration of each call is to be calculated in one (1) minute increments and rounded up to the nearest minute increment. 5. TELEPHONE NUMBERS. Any telephone number provided by NN ("Number") to the End User shall be leased and not sold. End User shall not obtain any rights, title or interest in the Number. The Number is not portable to other service providers. The End User is not to use the Number with any other device other than the Equipment without the express written permission of NN. NN reserves the right to change, cancel or move the Number at our discretion. 6. LOST, STOLEN, ALTERED OR BROKEN EQUIPMENT. End User shall not modify the Equipment in any way without the express written permission of NN. End User shall not use the Equipment except with the Services provided hereunder. Except as otherwise provided for hereunder, End User is responsible for all lost, stolen or broken Equipment and shall pay NN for any such lost, stolen or broken Equipment an amount equal to the fair retail price of the Equipment minus any payments End User had previously paid specifically for said Equipment. End User shall immediately notify NN of any lost or stolen Equipment and shall cooperate with NN in all reasonable aspects to eliminate actual or potential unauthorized use of the Equipment. At NN's sole option, failure to report lost or stolen equipment in a timely manner will cause End User to be responsible for all service fees accrued until the time that NN is informed of the loss or theft and can affect a termination of the Services. 7. CREDIT. All shipments, deliveries, services and performance of work covered by this Agreement shall at all times be subjected to credit approval or review by NN. End User will provide such credit information or assurance as is requested by NN at any time. NN, in its sole discretion and judgment, may discontinue credit at any time without notice. 8. TAXES. Quoted prices do not include any customs duties, sales, use, value added, excise, federal, state, local, public utility or other similar taxes. All such taxes shall be paid by the End User and will be added to any amounts otherwise charged to End Users unless End User provides NN with an appropriate exemption certificate. 9. PROHIBITED USES. Any End User use of the Services or any other action that causes a disruption in the network integrity of NN or its vendors, whether directly or indirectly, is strictly prohibited and could result in termination of the Services. End User understands that neither NN nor its vendors are responsible for the content of the transmissions that may pass through the Internet and/or the Services. End User agrees that it will NOT use the Services in ways that violate laws, infringe the rights of others, or interfere with the users, services, or equipment of the network. End User agrees and represents that it is buying the Services and/or the Equipment for its own internal use only, and shall not resell the Services or the Equipment or components thereof. 10. COMMERCIAL USE. End User agrees that the use of the Service and/or Equipment for activities other than personal, residential and reasonable business use will obligate the End User to pay NN higher rates for business services for all periods of such use, including past periods, in which End User used the Service for commercial or governmental purposes. NN reserves the right to immediately terminate or modify the Service, if NN determines, in its sole discretion, that End User's use of the Service is for non-residential or commercial use. 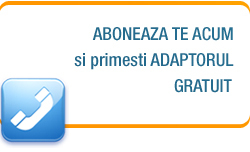 NN periodically runs promotional campaigns that may include the offering of one free adapter for each new End User. The minimum contract duration for those new End Users receiving a free adapter is set to 6 (six) months. Those End Users that choose to terminate the Contract within the first six months interval, are obligated to return the adapter received for free, at their expense, in good working condition and accompanied by all the accessories originally shipped by NN (product box, cables, power supplies, etc. 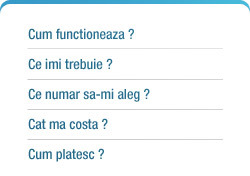 ), to NN. NN will proceed to terminate the contract and to close the account only after receiving the adapter from the End User. 11. CHANGES TO THE AGREEMENT, SERVICES OR PLAN. NN reserves the right to make changes to the terms and conditions of this Agreement, the Services and/or the Plan ("Change of Service"). In the event of a Change of Service, NN will notify the End User at least ten (10) days in advance of the date on which the Change of Service is to take effect ("Change Date"). Any Change of Service charges will be applied to the End User's account as appropriate, pro rata as calculated from the Change Date. End User can, within ten (10) days of NN's notification, send notice to NN that the End User does not accept the Change of Service, and can terminate this Agreement. In such event, End User will be responsible for any sums due hereunder in addition to any applicable disconnection fees. If the End User does not send NN notification of their desire to terminate this Agreement or uses the Services after the Change Date, the End User is deemed to have accepted and consented to the Change of Service. 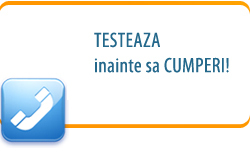 End User may request a Plan change at anytime, a change of service fee and other terms and conditions may apply. All Plan policies include but are not limited to the following possible charges for upgrades, downgrades or cancellations. In no case will an activation fee be credited after thirty (30) days from the initial purchase of the Services for a Plan change or cancellation. Activation charges apply to all upgrades to existing Plans. For a Plan change to a Plan that requires a purchase of the Equipment, an equipment charge will apply. 12. TERMINATION. NN reserves the right, at its sole discretion, to suspend, terminate or change the Services without advanced notice for any reason, including without limitation, misuse of the Services in any way, End User's breach of this Agreement, End User's failure to pay any sum due hereunder, suspected fraud or other activity by End User that adversely affects the Services, NN, NN's network or other end user's use of the Services. NN reserves the right to determine, at its sole discretion, what constitutes misuse of the Services and End User agrees that NN's determination is final and binding on End User. NN may require an activation fee to change or resume terminated or suspended Services. 13. PRIVACY. NN is committed to respecting an End User's privacy. Once the End User chooses to provide personally identifiable information, it will only be used in the context of you’re the End User’s relationship with NN. NN will not sell, rent, or lease End Users’ personally identifiable information to others. Unless required by law or End User’s prior permission is obtained, NN will only share the personal data the End User provides with other NN entities and/or business partners who are acting on NN's behalf to complete the activities described herein. Such NN entities and/or national or international business partners are governed by NN's privacy policies with respect to the use of this data. However, NN reserves the right to use personally identifiable information to investigate and help prevent potentially unlawful activity that threatens either NN or any company affiliated with NN. Moreover, upon the appropriate request of a government agency, law enforcement agency, court or as otherwise required by law, NN may disclose personally identifiable information. End user will not share, lease, rent or sale any information about NN technical solutions and network layout. This include, but is not limited to: software and hardware configurations, network layout, phone book, phone numbers. The phone book sent by NN is for End User use only and cannot be shared with any other third party. 14. F.O.B. AND RISK OF LOSS. Unless otherwise stated on the face hereof, all shipments are F.O.B. NN's facility. NN's liability for delivery shall cease, and title (if applicable) and all risk of loss or damage shall pass to End User upon delivery to carrier. Any losses, damages, or cost of related insurance for equipment shipped to facility shall be added to base expense. 15. RETURNS AND ADJUSTMENTS. No Equipment may be returned by the End User for any reason without prior approval of NN. All returns shall be in original packaging or equivalent. End User shall be responsible for all costs related to shipping to NN any Equipment that is being returned. Any Equipment returned to NN without prior authorization for its return or proper packaging may be refused. Up to 30 days after initiation of Service, End User may terminate Service and receive a full refund for any Equipment costs or monthly Service fees, but not including any shipping costs, paid prior to cancellation. In order to obtain an appropriate refund, upon cancellation End User must immediately obtain a return authorization from NN, return to NN any Equipment provided hereunder, undamaged and in good working condition, in its original packaging and with its original content or otherwise will be immediately responsible for paying to NN an amount equal to the fair retail price of the equipment minus any payments End User had previously paid specifically for said Equipment. 16. TECHNICAL SUPPORT. NN provides End User technical support at its sole discretion and as limited to the Services and the Equipment provided hereunder. Technical support is rendered from NN's or a partner's premises, as available via email. Support for other applications and uses is not provided or implied. 17. BREACH. In the event of an End User's breach of the terms of this Agreement, including without limitation, failure to pay any sum due hereunder, End User shall reimburse NN for all attorney, court, collection and other costs incurred by NN in the enforcement of NN's rights hereunder and NN may keep any deposits or other payments made by End User. 18. INDEMNIFICATION. End User agrees to defend, indemnify and hold NN, its affiliates and its vendors harmless from any claims or damages relating to this Agreement. 20. WARRANTY AND LIABILITY LIMITATIONS. NN MAKES NO WARRANTIES, EXPRESS OR IMPLIED, INCLUDING, BUT NOT LIMITED TO, ANY IMPLIED WARRANTIES OF MERCHANTABILITY OR FITNESS FOR A PARTICULAR PURPOSE. NEITHER NN NOR ITS VENDORS WILL BE LIABLE FOR UNAUTHORIZED ACCESS TO NN'S OR END USER'S TRANSMISSION FACILITIES OR PREMISE EQUIPMENT OR FOR UNAUTHORIZED ACCESS TO OR ALTERATION, THEFT OR DESTRUCTION OF END USER'S DATA FILES, PROGRAMS, PROCEDURES OR INFORMATION THROUGH ACCIDENT, FRAUDULENT MEANS OR DEVICES, OR ANY OTHER METHOD, REGARDLESS OF WHETHER SUCH DAMAGE OCCURS AS A RESULT OF NN'S OR ITS VENDOR'S NEGLIGENCE. ANY CLAIM AGAINST NN MUST BE MADE WITHIN 90 DAYS OF THE EVENT OF THE CLAIM OR 90 DAYS FROM THE TERMINATION OF SERVICE, WHICHEVER IS EARLIER AND NN HAS NO LIABILITY THEREAFTER. NN'S LIABILITY IS LIMITED TO REPAIR, REPLACEMENT, CREDIT OR REFUND. NN MAY ELECT TO PROVIDE A REFUND IN LIEU OF CREDIT, REPLACEMENT OR REPAIR. ALL WARRANTIES COVER ONLY THE DEFECTS ARISING UNDER NORMAL USE AND DO NOT INCLUDE MALFUNCTIONS OR FAILURES RESULTING FROM MISUSE, ABUSE, NEGLECT, ALTERATION, MODIFICATION, IMPRORER INSTALLATION, OR REPAIRS BY ANYONE OTHER THAN NN. IN NO EVENT SHALL NN'S TOTAL LIABILITY HEREUNDER EXCEED THE SERVICE FEES PAID BY END USER TO NN IN THE PRIOR TWELVE (12) MONTHS FROM DATE OF CLAIM. 21. EXPORT COMPLIANCE. End User agrees to comply with U. S. Export laws concerning the transmission of technical data and other regulated materials via the Services. End User agrees to comply with applicable local, state and federal regulations governing the locality in which the Equipment and Services are used. 22. PHONE NUMBERS AND WEB PORTAL DISCONTINUANCE. Upon expiration, cancellation or termination of the Services, End User shall relinquish and discontinue use of any phone numbers, voice mail access numbers and/or web portals assigned to the End User by NN or its vendors. 23. SOFTWARE COPYRIGHT. Any software used by NN to provide the Services and any software provided to the End User in conjunction with providing the Services are protected by copyright law and international treaty provisions. End User may not copy the software or any portion of it except to create a backup or archival copy. 24. CRITICAL COMPONENTS. NN's EQUIPMENT AND SERVICES ARE NOT AUTHORIZED FOR USE AS CRITICAL COMPONENTS IN LIFE SUPPORT DEVICES OR SYSTEMS WITHOUT THE EXPRESS WRITTEN APPROVAL OF THE PRESIDENT OF NN. Life support devices or systems are those which are intended to support or sustain life and whose failure to perform can be reasonably expected to result in a significant injury to the user. Critical components are those whose failure to perform can be reasonably expected to cause failure of a life support device or system or affect its safety or effectiveness. NN'S EQUIPMENT AND SERVICES DO NOT SUPPORT 911 OR OTHER EMERGENCY FUNCTIONS AND WILL NOT FUNCTION IN THE ABSENCE OF ELECTRICAL POWER OR PROPER NETWORK CONNECTION AND FUNCTION. 25. SURVIVAL. The provisions of section 11, 17, 18, 19, 20 and 23 shall survive any termination of this Agreement. 26. NOTICES. NN communicates with End Users primarily via email. Notices to End User shall be sent to the email address specified by the End User at the time of registration for the Services or as subsequently specified by the End User ("Email Address"). End User is responsible for notifying NN of any Email Address changes. End User agrees that sending a message to the Email Address is the agreed upon means of providing notification. The Email Address is used to communicate important information about the Services, billing, changes to the Services and other information. The information is time-sensitive in nature. It is required that the End User read any email sent to the Email Address in a timely manner in order to avoid any potential interruptions in the Services provided hereunder. 27. FORCE MAJEURE. NN shall not be liable for any delay in performance directly or indirectly caused by or resulting from acts of God, fire, flood, accident, riot, war, government intervention, embargoes, strikes, labor difficulties, equipment failure, late delivery by suppliers or other difficulties of NN as may occur in spite of NN's best efforts. QUANTITIES ARE SUBJECT TO AVAILABILITY. In the event of production or network difficulties or product shortages, NN may allocate sales, services and deliveries at its sole discretion. 28. GOVERNING LAW. This agreement is governed by the laws of the State of California. End User acknowledges and agrees that California courts have jurisdiction over this agreement and customer, that Santa Clara County, California is an appropriate place for venue of any litigation, and that all litigation, to the extent possible, shall be in Santa Clara, California. 29. ENTIRE AGREEMENT. These terms and conditions (but expressly not including any terms and conditions of End User's documents, including any purchase order) constitute the entire agreement with regards to this sale and expressly supersede and replace any prior or contemporaneous agreements, written or oral, relating to said sale. This agreement shall be binding upon the heirs, successors, and assigns of the parties hereto.